Admiral Chester William Nimitz contributed to the success of the United States Navy from his beginnings at Annapolis 1905 to this very day. His accomplishments, contributions, and 61 years of service led to advancements in command strategy, naval education, goodwill measures, and the engineering and building of gas, diesel, and nuclear engines for navy vessels – especially submarines. 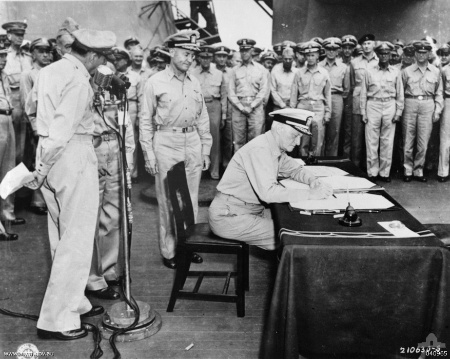 His leadership during WWII won the war in the Pacific and on September 2, 1945, Nimitz signed for the United States when Japan formally surrendered on board the USS Missouri in Tokyo Bay. Chester William Nimitz was born in Fredericksburg, TX in 1885 – six months after his own father’s death. 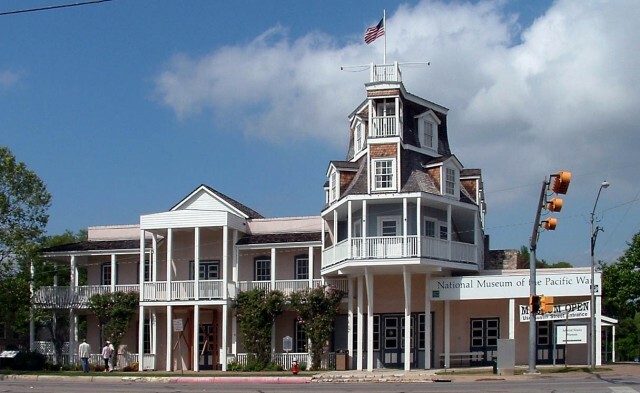 His childhood home was the Nimitz Hotel in Fredericksburg, TX which was built with the essence and elements of a ship so that Grandfather Nimitz would feel connected to the sea he missed so much. The young Chester had as his home and playground a ship’s bridge and a pilot house that looked out not over the sea, but out on the Texas hills. 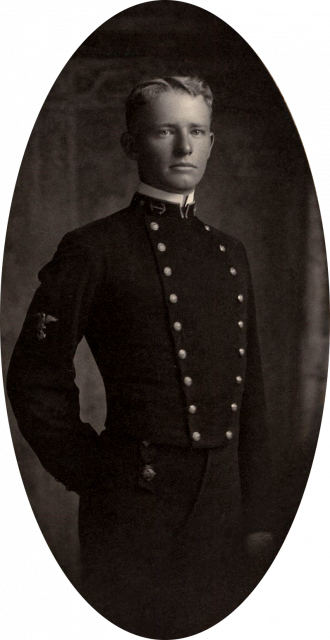 Nimitz’s first choice of school was West Point, and he applied at the age of 15. Unfortunately, there were no appointments available. On the advice of his Congressman, he studied hard for the one appointment available at Annapolis. He graduated from the Naval Academy 7th in his class of 114 in 1905. He had left high school to attend and did not receive a high school diploma until decades later when he was an admiral. His classmates said of him that he was “a man of cheerful yesterdays and confident tomorrows”. By 1908, he was an ensign that had served on four ships before running the fifth, the Decatur, aground on a sandbar in the Philippines. He was court-martialed and received a letter of reprimand. A fast learner, he started instruction in the First Submarine Flotilla in January of 1909 and had command of the flotilla by May. He also had the command of the USS Plunger, the USS Snapper, and the USS Narwhal by November of 1910. By the end of 1911, he was Commander 3rd Submarine Division Atlantic Torpedo Fleet. Over the next several years, Nimitz proved himself through several endeavors. In 1918, during WWI, he was appointed Chief of Staff to Admiral Samuel S. Robinson – the Commander of the Submarine Force, U.S. Atlantic Fleet – and was awarded a Letter of Commendation for meritorious service. That October, he was appointed a senior member of the Board of Submarine Design. Throughout the 1920s and 1930s, he served on various naval vessels and was appointed the chief of the Bureau of Navigation in 1939. On December 17th, 1941 (ten days after Pearl Harbor), Roosevelt promoted him to Commander in Chief, United States Pacific Fleet with the rank of Admiral. 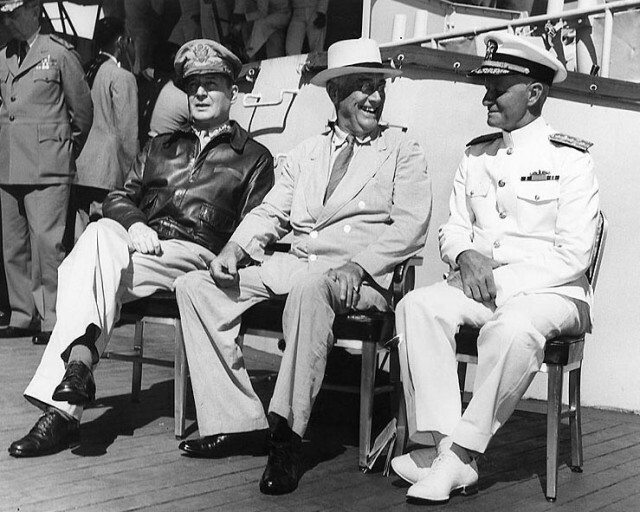 When the Pacific theater was divided into three areas of command in 1942, Admiral Nimitz was given command over all sea, air, and ground units of the Pacific Ocean Areas as their Commander in Chief. Admiral Nimitz was victorious in the Battle of the Coral Sea, the Battle of Midway, and the Solomon Islands Campaign. 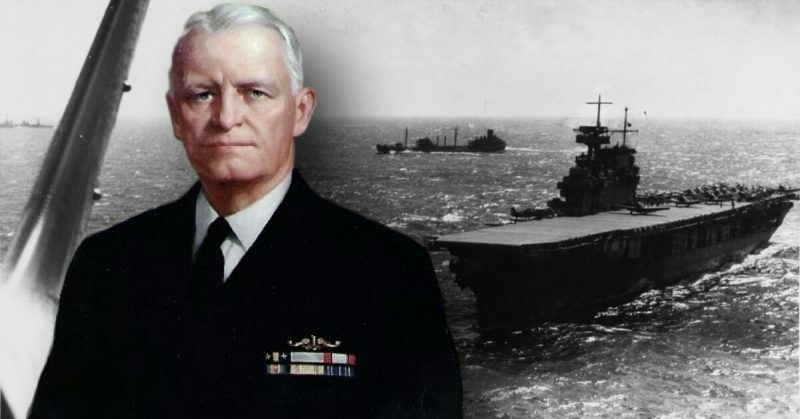 An Act of Congress in 1944 recognized his contributions and created the grade of Fleet Admiral which would be the highest rank in the Navy and to which President Roosevelt promoted Nimitz the day following that act. In 1945 he was named Commander in Chief of the United States Fleet. When Nimitz was first married, before WWI, he and his wife spent time in Germany and Belgium where he was educated on the building of diesel engines. He used that training to build the diesel engines of the Maumee when he returned to the U.S., becoming the executive and engineer officer of that vessel. It was the first diesel engine used in a surface Navy vessel. The Maumee, with Nimitz on board, was the first vessel to conduct underway refuelings. It served as a refueling ship for Navy destroyers on their way across the Atlantic during WWI. While bolstering his education with naval command training at the Navy War College in the 1920s, Nimitz worked on a hypothetical plan for how to win engagements in a Pacific War. That plan was later used in the Pacific Theater during WWII. Nimitz helped win the war with not only battle strategy, but maintenance plans – by creating forward repair stations and maintenance squadrons. During WWII, he organized his single fleet into separate “staff” with supporting directives, so that while one did this, the other could do that. By having one staff commanding and the other planning upcoming assaults, the Japanese were continuously deluded into thinking the Navy fleet was much larger. This ingenious plan led to the future honing of command procedures. The aircraft carrier USS Nimitz (CVN 68) and embarked Carrier Air Wing (CVW) 11 transits into San Diego prior to mooring at Naval Air Station North Island. 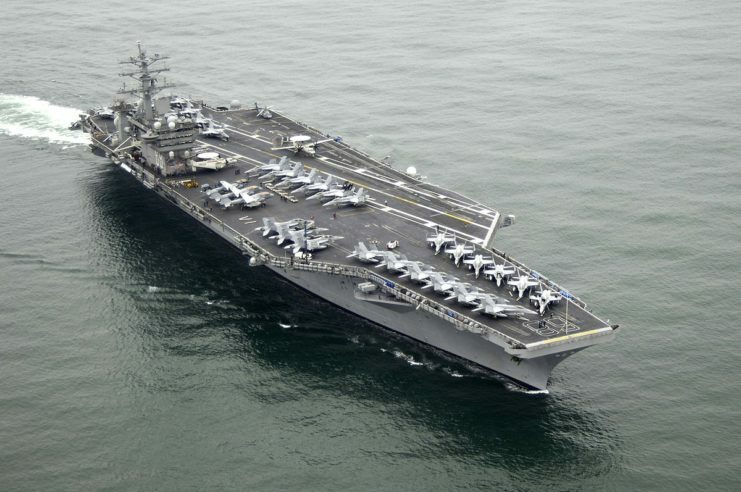 Nimitz is preparing for a 2009 regularly scheduled Western Pacific Deployment. Admiral Nimitz was the US signer of the peace treaty with Japan after their surrender in WWII aboard the battleship Missouri. His influence, expert knowledge of submarines, and support of Captain Hyman G. Rickover’s proposal for a nuclear submarine led to the building of the first nuclear-powered submarine, the USS Nautilus. He was the last officer to ever serve as Fleet Admiral, he was Chairman of the Presidential Commission on Internal Security and Individual Rights, a roving ambassador for the United Nations, the first professor of Naval Science at the University of California, a regent of the University of California, and in retirement was Special Assistant to the Secretary of the Navy in the Western Sea Frontier. Admiral Nimitz submitted an affidavit to the Nuremberg Trials supporting unrestricted submarine warfare which both he and German Admiral Karl Donitz had employed during the war. This affidavit may have been one of the reasons Donitz was only required to serve 10 years. He won more awards and received more decorations than can be listed here, including several Gold Stars. Roosevelt declared October 5th “Nimitz Day”. He was present for a parade in his honor on that day in 1945 and on October 17th, 1964 on “Nimitz Day” at the University of California. Nimitz participated in fundraising to help restore the Japanese Imperial Navy battleship, the Mikasa, with the intention of restoring goodwill with Japan. Nimitz is featured on a United States stamp and several things have been named after him including ships, schools, foundations, museums, freeways, military institutions, hills, summits, a glacier, musical compositions, eight schools, and even the town of Nimitz, WV.